The area of North America known as California was named by Hernán Cortez (ca. 1536) after the mythical island paradise described by Garci Rodriguez de Montalvo in Las sergas de Esplandian, published in 1508. Upper or Alta California, which included the entire west coast of the United States, British Columbia and Alaska was ignored by the Spanish Crown until 1768 when King Carlos III ordered José de Galvez (Visitador General of New Spain) to begin the colonization of this region to forestall Russian colonial encroachment upon the west coast of North America. In 1769, under Gaspar de Portolá, Governor of Baja California, expeditions were sent north from Baja California, one by sea and the other by land. The first settlement in Alta California was established at San Diego harbor in that year. A mission church was founded by the Mallorcan Fray Junípero Serra, who would personally found eight other missions before his death in 1784. By 1823 a chain of twenty-one Franciscan missions and four Royal Presidios had been established along the coast as far north as the present town of Sonoma. In 1822, the newly independent Mexican government declared Alta California a province of Mexico. The missions, the most prosperous and populated settlements in Northern New Spain, were secularized by the Mexican government and their lands were sold during the years 1834-1840, ending an unprecedented period of growth, and prosperity. Mexico ceded Alta California to the United States Government in 1848. Centered physically and institutionally around a church, each of the mission communities was a self-contained town inhabited by one or two Franciscan priests, a small garrison of six to ten soldiers and native Californians. At the peak of their prosperity in the late 1820s these settlements husbanded many tens of thousands of head of domesticated animals, produced abundant vineyards and harvested crops of wheat and legumes in the hundreds of bushels. Many also carried out successful trade in hides and tallow with European merchant ships that plied the California coastal waters, including the Manila Galleons. Every mission had a library, carried on the schooling of Indian residents and provided instruction in the various manual arts. In addition, music instrument collections were amassed which involved organs, (barrel, reed and pipe), as well as string (violins, violoncellos, contrabass), woodwind (piccolos, flutes, oboes, clarinets), brass (trumpets and horns) and percussion instruments. Choirs and orchestras, in some cases of significant size and competence, were trained, often to a level of considerable proficiency. Visitors to the missions, as early as the closing years of the eighteenth century, commented upon the quality and scope of the music making at individual missions. The sacred music of California that remains in manuscript form is the most extensive and diverse body of plainsong and polyphonic music to survive from any of Spain's colonies in the contiguous forty-eight states. Much of the polyphonic music was brought to California from locations in Spain and Mexico, including the Convento de San Francisco, Palm, Mallorca and the Cathedral in Mexico City. The manuscript remains are preserved in ten different libraries and archives throughout California. Of the 142 Franciscans who served as missionaries in California, six individuals have been identified as being the most visible in the cultivation of music in the missions. Tireless in his endeavors for the christianization of this region, Junípero Serra is known to have officiated at the first sung, Solemn Mass in California. He was noted for his musical ability and is recorded to have taken every opportunity to celebrate the Mass with full solemnity. The most indefatigable musician in California was Fray Narciso Durán. Shortly after his arrival in California in 1806, Durán reorganized the choir and orchestra at Mission San José. By 1813, he had begun the production of large format choirbooks for use by his orchestras and choruses. His dated, personal copy of one of these manuscripts still exists (1813); it contains an important preface that sets forth Durán's views on how one was to teach music to the Indians. 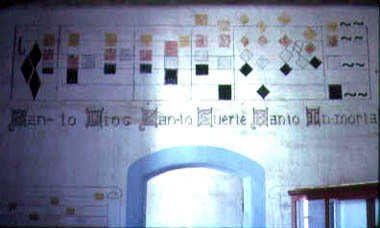 At least another ten mission music manuscripts and fragments show the influence of Durán's pedagogical principles, and it is suspected that he may have supervised a scriptorium at Mission San José to produce manuscript music books for other missions. Fathers José Viader, Felipe Arroyo de la Cuesta and Estevan Tapís are known to have produced music manuscripts as well. 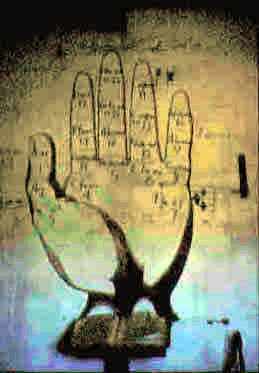 Arroyo de la Cuesta, in addition to being an important student of native Californian languages, produced at least one music manuscript with settings of texts in the Mutsun Indian language. Viader along with Durán conducted the combined choirs of missions Santa Clara, San Francisco and San José when the latter church was dedicated in 1809. One of the mission music manuscripts in the Santa Clara University Archive is attributed to him. 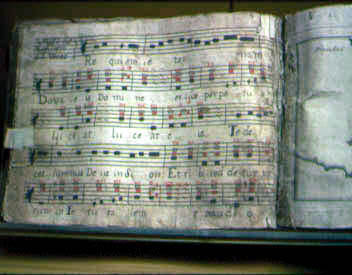 Tapís is credited with producing the extensive music manuscript at Mission San Juan Bautista. Two Franciscans, Florencio Ibáñez and Juan Bautista Sancho, had documented, systematic musical training and also served as choir masters in their Spanish convents. Ibáñez was choir master at the Convento de Nuestra Se&ntildeora de Jesús, Zaragosa, and also in the Franciscan convent in Calatayud. He was attached to the choir of the College of San Fernando Rey, Mexico City, from 1770 to 1774, when he was transferred to the province of Michoacán where he became choir master at San Miguel de Allende until 1781. In 1801, he came to California where he produced at least one music manuscript at Mission Santa Clara and wrote a Pastorela which was produced widely throughout California. Sancho came to California in 1804, serving his entire twenty-eight year missionary career at Mission San Antonio de Padua. During the years 1795-1797 while he was Choir Director at the Convento de San Francisco, in Palma, Majorca, Sancho copied out a great deal of music, in excess of 170 pages containing over forty works, which he brought to California with him. He also had in his possession at least one other music manuscript that contains a trilingual, dal segno aria with orchestral accompaniment. This aria began its life as the second-act bravura aria for the character Semira in an anonymous version of the widely distributed opera Artaserse, the libretto by Pietro Metastasio. After being converted to sacred use by the imposition of two contrafactum texts (Laudate Dominum, from Psalm 116, and Iam auditur celum), this beautiful and demanding aria could function both as a solo setting of the Psalm for Vespers of a Martyr Bishop and also as an extra-liturgical devotional work for feasts relating to the Precious Blood of Christ. The survival of a number of examples of unrelated individual opera arias in Mexico City suggests that singers in the eighteenth century city must have carried with them favorite arias from unrelated operas, often refitted with sacred texts that would make them performable within the church. Sancho is also the most likely person to have brought the copies of four different orchestral Masses, two by Ignacio Jerusalem (Chapel Master at Mexico City Cathedral from 1749-69), one by José Francisco Javier Garcia Fajer (Il Spagnoletto) and perhaps another composer, to California, works which are now in the Santa Barbara Mission Archive Library and the Los Angeles Archdiocesan Archive Library. (One work by Jerusalem from each library has received a recent compact disc recording). Sancho's own manuscripts reveal him to have been a keyboardist and a musician of significant capability, especially in the use and realization of figured bass. His manuscripts contain the only two villacicos now known to have been performed in Spanish California. Plainsong was the regular music for Christian worship throughout California. It was transmitted to the missions in the form of printed music books, missals and manuals. It was performed at first by the Franciscans stationed at each of the missions, but was soon being sung by Indians resident in the missions. Indian choirs continued to sing this music until the 1930's having learned it as succeeding generations of mission choristers. In addition to the printed books that contained plainsong, virtually every music manuscript known to have been produced in the missions contains some plainsong. Polyphonic music for the Mass was widely used and there are more than thirty manuscripts and fragments which contain one or more polyphonic settings for the ordinary texts. This music was sung by choirs made up of native Californians, usually to the accompaniment of an orchestra. The various masses that survive range in style from those for two parts in unrelieved parallel thirds, such as the Misa viscaína, to those for four voices in a homophonic style with instrumental preludes and interludes (Misa de los Ángeles, Mass in the Fifth Tone ) to four- and eight-voice concerted works for soloists, chorus and orchestra by Ignacio Jerusalem and García Fajer. A number of non-Spanish visitors to California commented upon the quality, beauty and precision of certain of the Indian choirs and orchestras, and it is safe to conclude that the standard of music making for the Mass in California would have been comparable to that found in churches and convents in both Mexico City and Spain. Clearly, it was a goal of the Franciscans to celebrate the Mass throughout the entire liturgical year with all of the solemnity consistent with its central place in Mission life. Polyphonic music was also widely cultivated in other religious services, especially Vespers and Tierce for the patronal feast and for the dedication of a church, where the psalms and Magnificat are to be found in polyphony. The Mass for the dead is prominently placed in many manuscripts and a number of sources preserve a polyphonic requiem in one of two arrangements (three or four voices) that had been brought from Majorca to California by Juan Sancho. 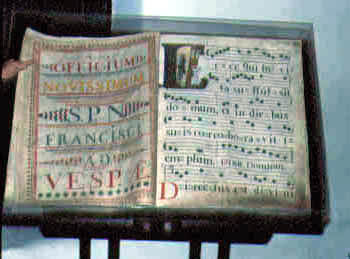 There is also one unique manuscript source that contains polyphony for many of the texts from the Office of the Dead. A great deal of devotional polyphony with Spanish texts survives too, much of it for two, three and four voices in a simple homophonic style with all or some of the voices moving in parallel thirds. This music, which often presents translations of well known prayers such at the Pater noster and Salve regina, was used during processions, the recitation of the doctrina, the Rosary and during Benediction. In all, more than two hundred polyphonic works with sacred texts survive from California and testify to the richness and diversity of the musical culture of the Mission communities. Secular music, in the form of dance tunes and folk songs were also widely used at the missions both by the Indians and the Spaniards though there is only one manuscript source that survives. It is known that a number of tunes of Anglo, Irish, and French origin were used in California having been transmitted to this distant region on cylinders used in barrel organs left by merchant ships. There are a number of curious comments made by French and English visitors upon hearing the Marseilles and other non-Spanish patriotic and secular songs played by Indian orchestras during processions at Mass. "A Mighty Fortress Is Our God," the famous hymn by Martin Luther, was performed on the pipe organ by the Indian organist of Mission Santa Barbara in 1841. It is also known that Indian musicians regularly played for the many fiestas in the towns that existed near the Presidios and missions. A great deal of folk music was sung in California by Spaniards and Mexicans, usually to the accompaniment of the guitar, though small pianos and at least one reed organ were also known to have been used in chapels and private homes. A large number of folk songs (in excess of two hundred) were collected on wax cylinder recordings by Charles F. Lummis in the first decades of this century from informants who had grown up in Spanish and Mexican California homes. The gaiety that prevailed during the many fiestas, wedding celebrations and public holidays in Alta California is universally commented upon in the accounts of most visitors, revealing the importance of music in the lives of the Spanish and later Mexican residents of this region. Though Alta California was the last of Spain's colonies founded in the Americas, its rapid growth and material success far surpassed all expectations of the Spanish government. Within a span of fifty-two years this region was transformed from a virtual terra incognita to one of the richest agricultural and farming areas in North America. By 1833 over 308,000 head of livestock and over 2,000,000 fanegas (a fanega is approximately 100 pounds) of agricultural products were produced. Eighty-seven thousand people were baptized and more than 24,000 marriages were performed. All of this was accomplished by 142 Franciscan priests at 21 missions in a span of less than seventy years. In addition to accomplishing all of the above, some of these same Franciscans also had the energy and persistence to produce music manuscripts, gather instrument collections and to train orchestras and choirs that performed sacred music on a weekly basis, an artistic accomplishment that compares extremely favorably with any other region in the vast dominions of the Spanish empire. The day-to-day music making of the Spanish residents, while less concretely documented, was also extensive, and remains one of the many research frontiers yet to be explored.